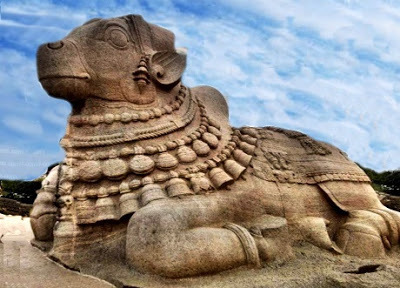 Lepakshi is a small town, located near the famous spiritual town Puttaparthi in Ananthapur district in Andhra Pradesh, and this village is famous for the temple constructed for God Veerabhadrar, the fiery incarnation of Lord Shiva and divine bird Jadayu. The temple is 450 years old so say the historical records, but as per the folklore this temple has been established several thousands of years ago by the greatest saint Agasthiya Muni who produced a Shiva Lingam with his yogic powers and worshipped it as Lord Veerabhadrar here. The 15th century temple is in a dilapidated condition now. The temple history has few stories one of which is related to Divine bird Jadayu whose last rites was reportedly performed here by God Rama and God Lakshman. The other story is that sage Agasthiya Muni originally established this temple. The third story is historical in nature connected to the treasurer of Vijayanagaram Emperor who built this temple. The first reference of Lepakshi was found in Skandapurana as ‘Lepakshya-Papanasanah’ so claim the pundits. One of the works (books) on the glories of Lord Shiva mentions that sage Agasthya stayed inside a cave in the hill here. During his visit to scared places in the southern parts of mount Vindhya, sage Agasthya established the Shiva Ling and worshipped it which was later converted into a shrine by the treasurer of Vijayanagaram emperor without even seeking prior permission of the King. The entire temple complex has intricate carved figures all over the pillars and walls. All of them have been carved out of a single huge rock inside the hill called Kurma sailam meaning tortoise back. The temple complex includes a monolithic Siva ling under a seven hooded huge snake called Nagaraja appearing with three coils; Lord Shiva’s carrier vehicle Nandi-15 feet high and 27 feet wide- at a distance; and an the unfinished marriage hall all of which speak of the high degree of talent in sculpturing the intricate elements by the then artists engaged for the work. 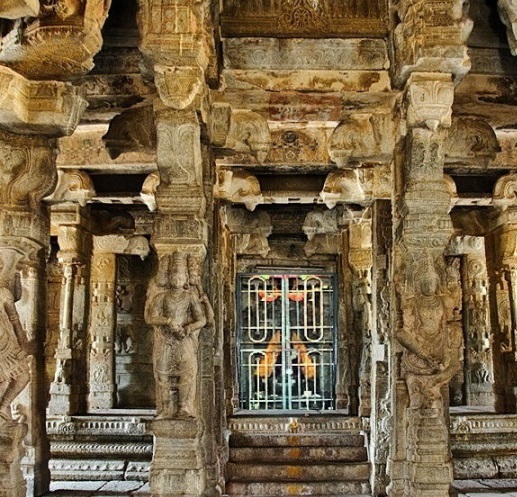 Especially the pillars and rooftop at the entrance of the sanctum God Veerabhadrar has intricately carved figures of dancers, musicians who appear along with various musical instruments. The temple has over hundred pillars supporting the roof and one of the pillars is hanging in the sense that its base does not touch the ground and when some flat surfaced towel or paper like object is inserted from any side below the pillar it can be taken out from the opposite side as there is a gap of nearly two centimeter between the under surface of the pillar and the ground. Inspite of high degree of artistic work, the engineering marvel and other foundation aspects were lacking in the construction and everything appears to have been done in haste without sticking to any master plan. Hence the unfinished structures in the temple complex could not be taken up for completion by subsequent rulers as basic structural designs could not be understood by anyone properly. Now read the temple history. No justifiable explanation is also available for the wonder hanging pillar, some engineers opine that the pillar is in slanting position and due to seismic effects the ground below the pillar may have developed crack and locally gone down detaching from the bottom of the pillar. Since the entire pillars, roof and walls have been carved out of single rocky hill without any joints in any manner, the particular pillar with gap below carved out of the rock from above may be hanging as part of the roof. 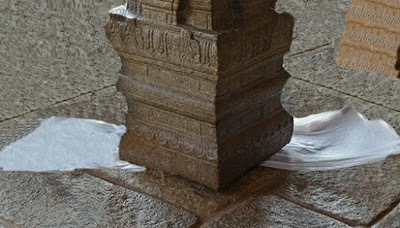 When the archaeologists who studied the temple construction attempted to shake the hanging pillar, they noticed that the entire temple roof structure was slightly shacking along with other pillars and therefore they abandoned further experiments, lest there could be danger to the temple itself which can collapse. Therefore the mystery of the hanging pillar continues to make one believe it as naturally created hanging pillar. Several hundred years after sage Agasthiya consecrated the Shiva Ling and went away, one of the government treasurers in the treasury of the Vijayanagaram ruler attempted to reconstruct the temple in a grand manner. 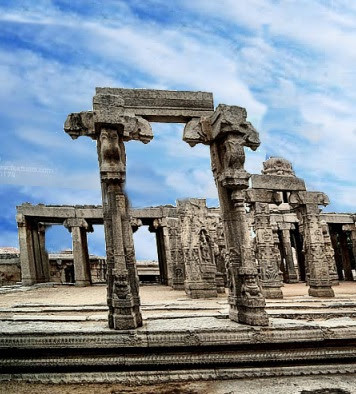 His name was Virupana, treasurer in the royal court of Vijayanagaram emperor and as per the records his attempt to construct the temple far away from the head quarter was only half finished and has been abandoned after he lost his vision. For a very long time, Virupana was longing to construct a temple for Lord Siva, but being servant with meager income, he could not even afford to buy two bricks from his own income and therefore decided to steal money from the Govt coffer. Once when the Emperor was away on expedition enlarging the territories of his kingdom, Virupana realized that it was the most opportune time and began stealing huge amount of money from the treasury to meet the expenditure for the construction of the temple. Frequent drawl of money resulted in the treasury getting emptied. When the Emperor returned from the expedition, he came to know of the act of Virupana who not only began construction of the temple without seeking his permission, but also drew funds illegally from the Govt treasury to meet the expenditure for it. Furious King immediately dispatched his solders to get Virupana arrested and gouge out his eyes to turn him blind. The news reached the ears of Virupana too. As the solders reached the temple site, Virupana realizing the seriousness of their visit and intention and before they could catch him and gouge out his eyes, he himself dashed his eyes against one of the stone walls in the marriage mandapam (hall) which was in half finished state at that time. By dashing against the stone wall he lost his vision and became blind. After his death no one cared to complete the construction. Even today two dried blood blotches can be seen on the wall and it has been scientifically kept preserved for historical records. That is why this village has been named as Lepa-askshi (meaning blind or loss of the eyes) i.e village of a blind. The second lore pertains to divine Bird Jadayu which tried to save Goddess Sita from the captivity of Ravan when he abducted and forcefully taking her to Lanka. When Ravan flew over the land controlled by the divine bird Jadayu, he had to face the stiff resistance from the huge divine bird which fought a pitched battle with Ravan to get Goddess Sita released from his custody. However divine bird Jadayu was no match to Ravana’s strength as he possessed extraordinary super natural powers borne out of several boons that he had earlier received from several Gods, and therefore he was able to overpower the divine bird and kill it by cutting its wings. The divine bird Jadayu was seriously injured and fell in the present temple site and the temple came up in her memory after God Ram and God Lakhman performed last rites for her and buried the mortal remains here. As per the village lore when Lord Rama rushed to the site where the divine bird lay seriously wounded, he exclaimed, Le, Pakshi, Le, Pakshi which meant in Telugu ‘get up bird, get up’. Thus the name of this place came to be called Lepakshi which is Le – Pakshi i.e death of the bird. 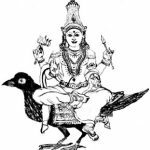 If you read legends of two more temples in South India you will find that the last rites for the divine bird Jadayu has been performed by Lords Ram and Lakhman in those temple sites too. One may be inclined to ask as to how could the last rites take place in three different sites which were established far away from each other? 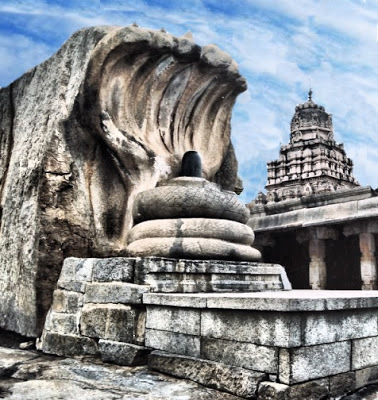 Therefore it is necessary to clear the doubts from everyone’s minds by side tracking the Lepakshi story for a while and let known the legends of other two temples too which are in fact not only interrelated to each other, but are also interlinked with Lepakshi temple in respect of the last rites for divine bird Jadayu. Besides Lepakshi, the other two temple sites where the last rites of divine bird Jadayu appears have been performed were Thiruppullaboothankudi, nineth in the list of Divya Desam temples, and Tiruppookuzhi Vijayaragava Peruman temple also in the list of Divya Desam temples. 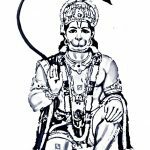 Lord Ram has also performed Srartha ceremony for Bird Jadayu in Thila tharpan boomi temple near Koothanoor and in Rameswaram temple both in Tamilnadu, the reason for which is also narrated at the end part of this story *****. Let us now read the legend of the two temples that speak of divine bird Jadayu’s death. The first story is that of Thiruppullaboothankudi temple which is situated between Swamimalai and Kumbakonam in Tamilnadu. Contrary to all other temples in which Lord Ram appears either in standing or sitting posture, in Thiruppullaboothankudi temple he manifests in the form of Ananthasayana i.e in sleeping posture. The history of the temple says that Lord Vishnu himself wished to worship self in the form of Lord Ram (like a mirror) and hence this posture. Another lore is that after performing the last rites for divine bird, a tired Lord Rama took rest for a while and slept on ground. Thus the sleeping posture in the sanctum came to be established. As per the temple legend during Vanavasa (life in forest) Lord Ram stayed in the forest which was under the command of the divine bird Jadayu which belonged to a specific class of birds called Pula all of whose life points lay spread in the midst of their wings and body. Those birds served only the divine they say. Since Ravan knew of the weak spot of the bird, he cut the wings to cause death to the bird. When Lord Ram rushed to the site hearing moaning of the divine bird Jadayu, the dying bird narrated the entire events and before dying she pleaded with Lord Ram to perform last rites for her at the same place where she died. Seeing the plight of the divine bird, Lord Ram accepted her request. Since Lord Ram was in the forest undergoing penance when his father died, he could not attend to the funeral or last rites of his father King Dasaratha. The feeling always daunted Lord Ram and therefore to douse his mental agony he agreed to perform the last rites for divine bird Jadayu and cremated her there. Certain events occurred before the mentally disturbed Lord Ram finally accept her request to perform the last rites. This is also narrated at the end of the article *****. The second story connected to the cremation of the divine bird Jadayu is Tiruppookuzhi Vijayaragava Peruman temple, in a small village called Tiruppookuzhi situated in the midst of Kancheepuram and Vellore in Tamilnadu. The legend of the temple too relate to the last rites for divine bird Jadayu and narrates the same story like that of Thiruppullaboothankudi temple. Some one can ask how could all the three temples which lay several kilometers away from each other have the same legend ? Can we treat them as mere fairy tales ? If one understand certain basic truths**** their doubts will get cleared. The factual position of the legend is explained in ‘End view’. 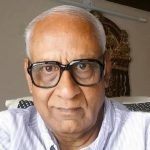 I discussed this issue of ‘same legend for few temples’ with few pundits in the year 2012 itself when I wrote the history of Thiruppullaboothankudi temple and Tiruppookuzhi Vijayaragava Peruman temple. Based on the discussion, I was convinced of many facts and therefore reproduce below their views to clear the doubts of all those who may be inclined to doubt the authenticity of the same legend connected to three temples. Thiruppullaboothankudi temple is near Kumbakonam while Tiruppookuzhi Vijayaragava Peruman temple is near Kancheepuram. Both are nearly 150 Kilometers away from each other. 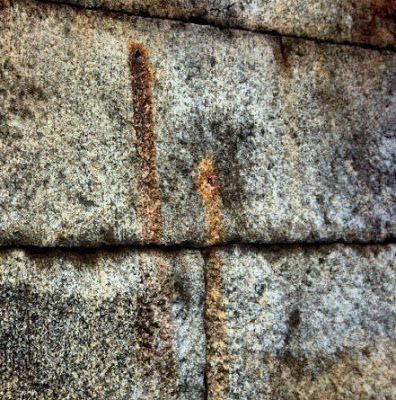 Similarly Lepakshi is also about 300 Kilometers from Kancheepuram. Lord Ram lived several thousand years ago when several incidents as narrated in Puranas occurred. Those from Devaloga freely moved from heaven to earth and returned back in the same manner in few seconds. The distance between heaven to earth is trillion miles away. None of the divine, semi gods or Gods and Goddesses were as small as six or seven feet in height like the present day humans. They possessed extraordinary structure and had eight to ten hands, ten heads and so on. Their extraordinary structure can be gauged from the fact that Lord Hanuman was able to lift the Sanjeevini Mountain in his hands and fly, Lord Krishna revealed his visvaroopa darshan stretching from earth to heaven, Ravan lifted mount Kailas in his hands and sage Agasthiya balanced the earth during the wedding of lord Shiva etc etc. This confirms the belief that they were not ordinary humans in physical structure and were able to expand and shrink their bodies as they liked and were also able to go to any place they liked in wink of moment. 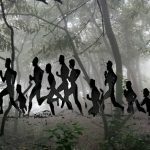 In those period of time, when epic Ramayana occurred no separate states like Tamilnadu, Andhra Pradesh, Kerala, Gujarat or Uttar Pradesh etc existed in India and all the places were one piece of land filled with full of forests. Today one may require not less than 6 hours to reach Chennai from Bangalore which is 250 Kilometers away from each other. Due to their gigantic structure in those days, the divine were able to walk between one end of Chennai to the other end in Bangalore with less than four to four to five steps. Therefore distance was immaterial in those period of time. The entire land through which Ravan travelled to Lanka were forest area under the command of the divine bird Jadayu; hence the divine bird was able to see the act of Ravan and attempted to get Sita Devi released from him. When the fight with Ravan took place in mid air, the parts and blood of the huge slain Divine bird Jadayu fell in different places. They became sacred places later with the emergence of few temples. When the divine bird Jadayu requested Lord Rama to perform the last rites for her, Lord Ram could not instantly decline the request due to the pitiable plight of the bird, but his inner mind was full of confusion. Closing his eyes he pondered ‘Even though I am the eldest son of my father, I could not perform the last rites when he died. How can one perform the last rites and ritual for a stranger who in no way belong to his own blood and also when the consort of the ritual performer is not with him. Performing ritual of this kind which is sacred demands the presence of consort of those who perform the rites, lest the ritual will remain incomplete. However it will be an act of deceit if the promise given is broken. I do not know where the soul of the dead bird is wandering? Oh, Lord Parameswara, why have you pushed me into this kind of dilemma ?’ As marooned Lord Ram in human form sat in silence praying Lord Shiva and whining for a few moment. Suddenly there was an unknown voice speaking from air. ‘Rama why are you feeling disgusted for nothing. This is only a temporary agony which will also vanish soon. You are unnecessarily worried of the promise given to the divine bird whom you consider to be a stranger and not of your blood, but dead now. Remember few things Rama, you are destined to remain away from your father for fourteen years during which time you are also prohibited from meeting him face to face. The divine dharma rules that anyone who part with the company of their parents or his spouse for a continuous stretch of twelve years, whatsoever be the reason, and have not met each other during the period of exile, if and when an occasion arise to perform certain essential rituals as is faced by you now, they are not forbidden from performing the rituals but are entitled to temporarily adapt someone as their shadow parents or shadow spouse and then perform the rituals lest doom will befall on them for evading their rightful duties . This divine bird has lost her life for your sake and therefore is entitled to be treated as your family member since anyone who sacrifice their life for someone, even if both are stranger to each other, be sure that they may have been bound by blood relation in their past life which has rejoined them in situations of this sorts. Both yourself and the slain divine bird Jadayu were inter related with each other in the past life. Therefore you need not fickle even for a moment and mentally accept the soul of the dead bird as your great father and perform the rituals as desired by the bird. Remember Rama, you are one of the incarnations of Lord Vishnu who as protector of the universe sends the souls to heaven, if they are pure. Since the divine bird has realized that you are Lord Vishnu but now in the avathar as Lord Rama, she has requested you to perform her last rites to beget a place in heaven. Since you have not performed last rites to your father, adapt this bird as your great father and perform the ritual. The divine bird belongs to the Pula race of birds who serve divine and their life points are spread in their body and wings. Therefore you may perform the last rites in the places where her two wings have fallen, besides where her body lay. Do not worry that your consort may not be with you when you begin performing the ritual. You are incarnate of Lord Vishnu. Both Sita devi and Bhooma devi are incarnations of Goddess Lakshmi who is consort of Lord Vishnu only. Therefore as you begin to perform the rituals till they are completed Bhooma devi will stand by your side as shadow Sita devi to enable you perform the rites. Go ahead with the ritual. Once Sita joins you back, you may then go to an appropriate place where performing the Tharpan (srartha) ceremony will be considered most sacred to rest the souls in peace and also the sea shore where you are able to get a Shiva ling formed out of the sea sand and perform Srartha ceremony to both your father and this divine bird. Once you do them all your past sins arose out of Pithru Dosha will vanish and your mind will calm down fully’. Thus spoke, the unknown voice muted. Rama realized that he can no more remain in dilemma and he has to perform the last rites to the divine bird and accordingly performed them in three places where the divine bird’s wings and body fell. The entire place where the events occurred was one piece of land stretching to several miles. In order to sanctify all those places where the parts of the slain bird fell, Lord Ram performed the last rites to the bird and cremated her parts in the very same places where they were found. While performing the ritual he carried the divine bird in his hands. Since the place where Divine bird Jadayu fell was under the control of the divine bird, Lord Ram walked around the land carrying the slain bird to collect the slain parts to perform the rituals and cremation. In one place he even kept the bird on his lap and sat while performing the rites. The three places where he performed the rituals for the bird were Thiruppullaboothankudi, Tiruppookuzhi, and in Lepakshi all of which were under the command of the divine bird. Thus all those important places where the slain body of the divine bird Jadayu was cremated became sacred. This is how three temples with same legend came up in those places. After Lord Rama rescued Sita Devi and joined her, they went to Thila Tharpan Boomi near Koothanoor and performed srartha ceremony. On way from Lanka, he got a Shiva Ling made out of sea sand in Rameswaram and performed the srartha ceremony for the departed souls of his father and the divine bird. They were the two appropriate places referred by the unknown voice from air. Thus all the three temples have the same legend in the temple history. In view of above facts, the legend of Lepakshi temple connected to Divine bird Jadayu staood authentic and acceptable to the pundits and devotees alike.